41% of college students report problems with anxiety. 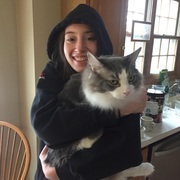 36% of college students report dealing with depression. Mental health is just as important as your physical well being, but it gets a fraction of the attention. 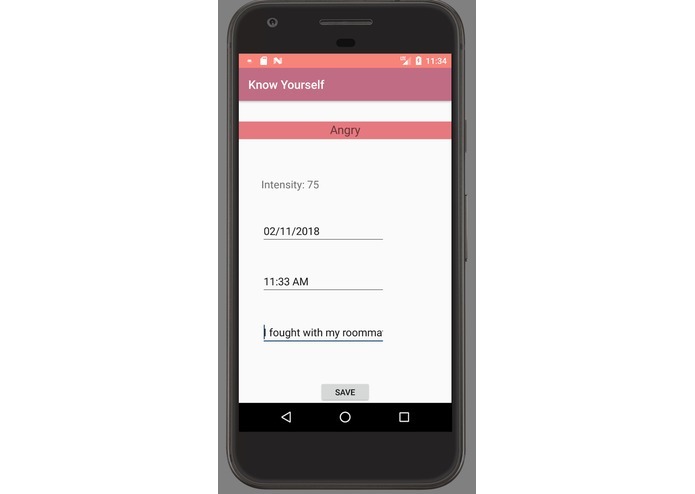 We wanted to build a way for individuals to track their mental health, so that they can use that data to identify trends, hopefully using the newfound information to improve their well being. 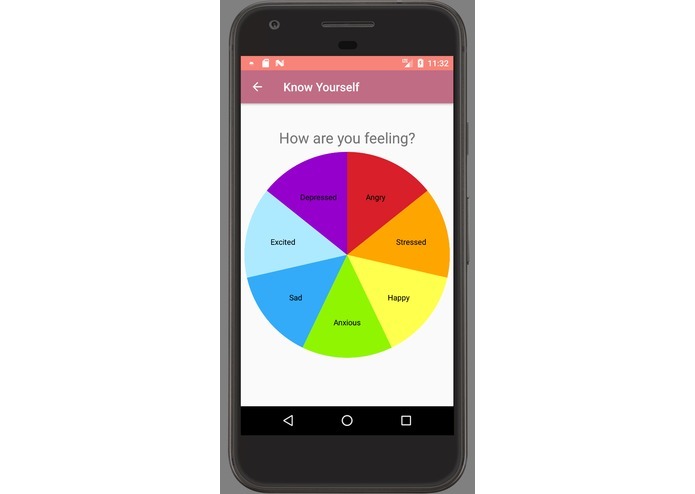 Know Yourself is an android app that encourages quick interactions for adding your feelings. 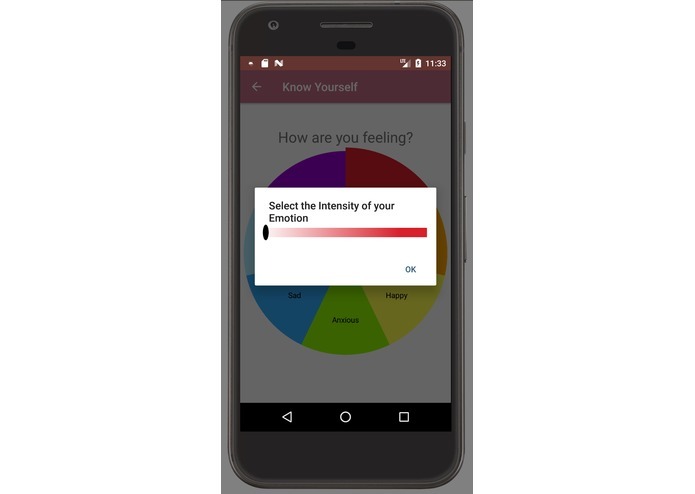 It allows users to identify how they feel, and mark details, such as the feeling's intensity or notes about what is causing it. 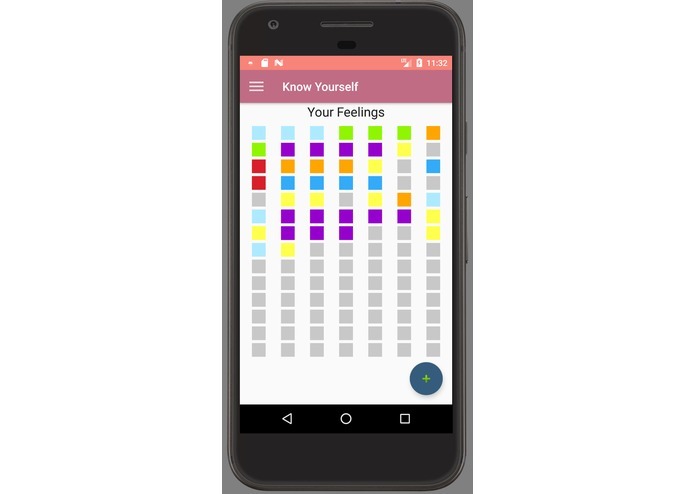 The app allows users to quickly visualize their feelings over time, identifying periods of time that were good or bad, so that they can then look at the recorded data in more detail. 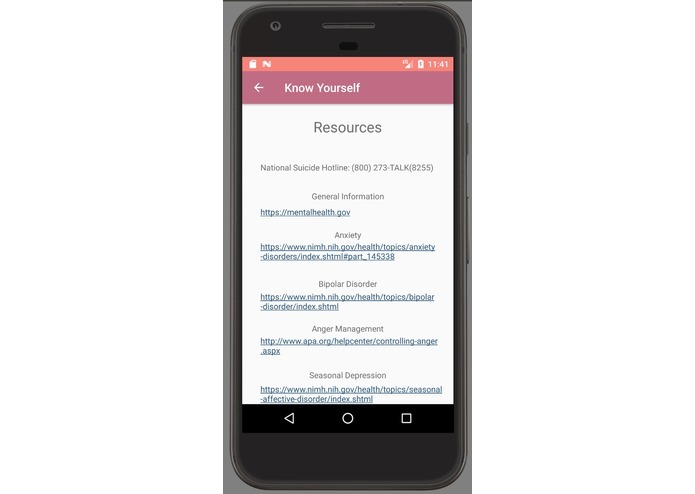 It has a handful of features, including viewing the saved feelings for a given day, setting reminder notifications to remember to track data, and a list of resources for those who need help. 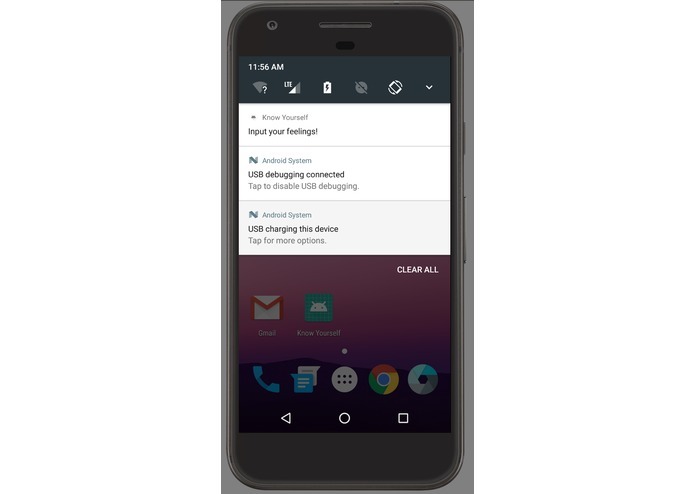 The app is built for android devices, using android studio. 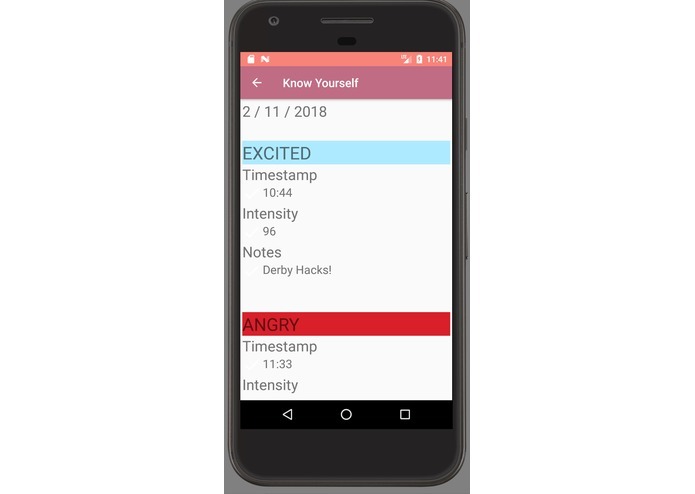 We're novice Android programmers at best, so we ran into plenty of problems - from correctly storing data on the device to enabling notifications to building paged activity for viewing data, and creating an intuitive and easy to use add feeling interface. We learned a lot about android development, and android development best practices. We had to put some thought into design and usability, something we don't always focus on. We'd love to add a ton of new features to make this into a truly usable app. It'd be great to be able to search by emotion or to allow customizing of emotion colors or even adding new emotions. 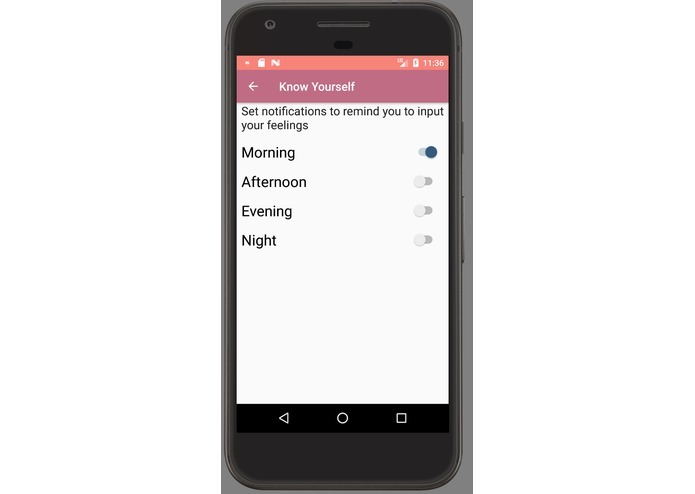 We'd also like to add support for truly custom notifications, and improve the home screen for devices of an arbitrary length. I wrote the UI and logic for the main page and detail view.